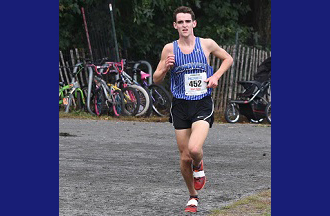 Dec. 5, 2018: Matt Rizzo, a Bronxville High School senior and highly accomplished runner, has been named Con Edison’s Westchester Scholar Athlete of the Week. He was recognized for his athletic and academic achievements by a panel of athletic directors and coaches. Rizzo, who is co-captain of the varsity winter and spring cross-country teams along with his twin brother, Alex, is crucial to the team’s success. He runs drills for the team, conducts team meetings, and ensures that his teammates are prepared for their races. He most recently captured New York State Public High School Athletic Association’s championship title in the Class C boys race with a time of 16:22, as well as the Section 1 championship title with a time of 16:59, and earned second place in the county championship with a time of 15:32. Counseling director Anne Abbatecola praised Rizzo for his ability to successfully handle the demands of academics and sports. Besides his dedication on the track, Rizzo has taken a challenging course load consisting of honors level and Advanced Placement classes, including chemistry, economics, English language, environmental science, and world history. Outside of school, he has participated in a community service trip to Nicaragua, has taught basketball to young children, and has been a volunteer counselor at a summer camp. Pictured here: Bronxville High School senior Matt Rizzo.